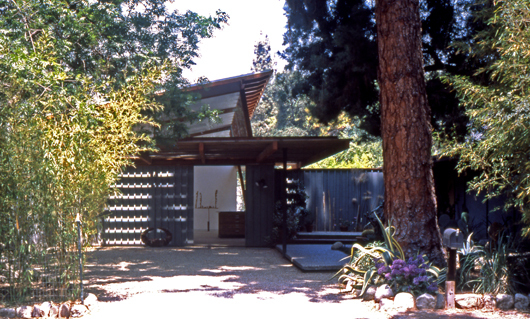 An 800 square foot addition to a mid-20th century post-and-beam house. The studio is a 20 x 40 foot space sited behind the low plane of a parking trellis. A board and batten wall that extends perpendicularly from the entry of the house becomes a concealed entrance into the studio. 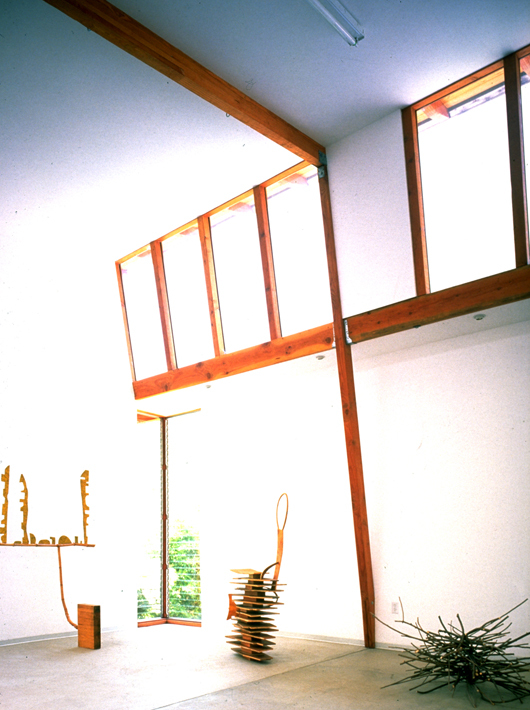 A north-facing clerestory that rises to nearly twice the height of the house runs the length of the studio. 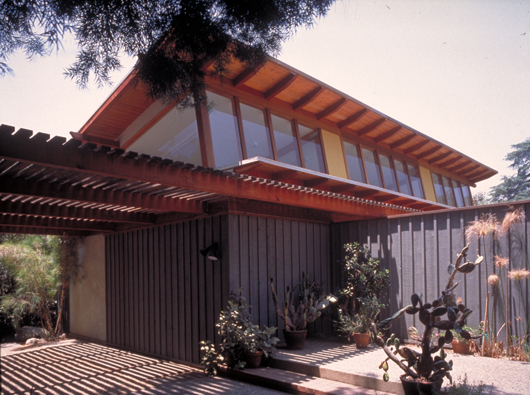 Its apparent height is scaled down by a low eave element and a garden court that separate it from the house.